The Earth Defense Force series moves away from its traditional series and into new territory with this new project. Developed by Yuke’s and teaming up with world-renowned artists to create an all new Earth Defense Force experience. Fight on an Earth devastated by giant creatures in this exciting third-person shooter. 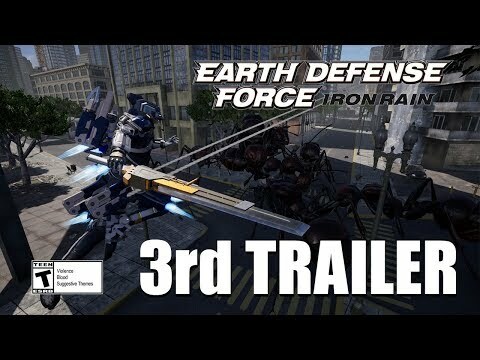 Earth Defense Force: Iron Rain was released on PS4 7d ago in the US and the UK. Based on 1 Earth Defense Force: Iron Rain PS4 review, Earth Defense Force: Iron Rain gets an average PS4 review score of 72.